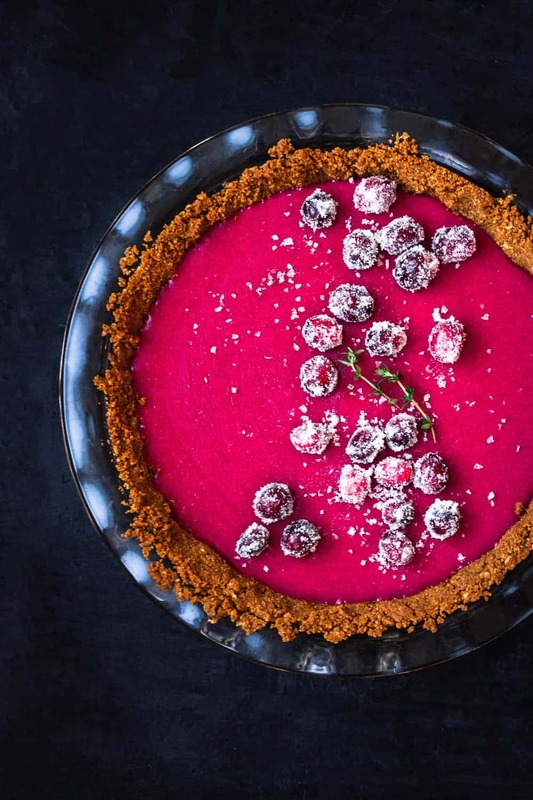 Spicy gingersnap and walnut crumb crust filled with a sweet, tart, and magnificently colorful cranberry curd that’s bursting with bright flavor and will steal the show at everyone’s holiday table! 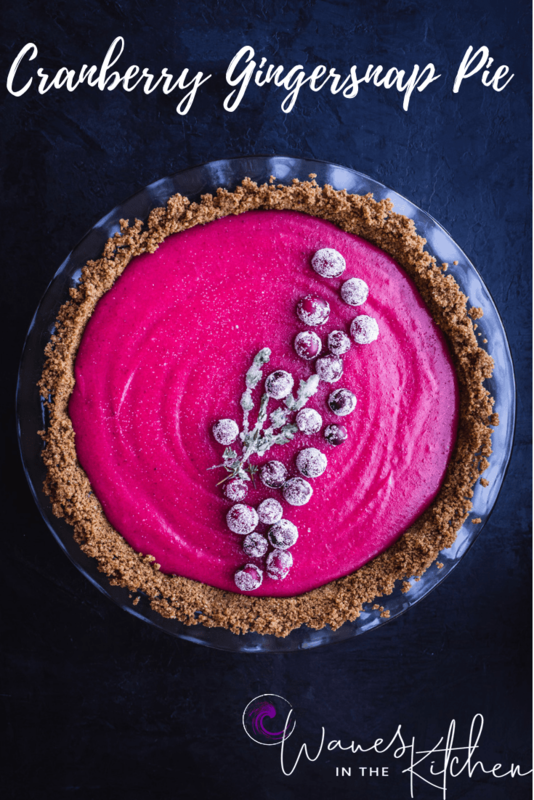 The moment I saw a picture of this Cranberry Gingersnap Pie I just knew I had to make it! I mean…. just look at that color!!! 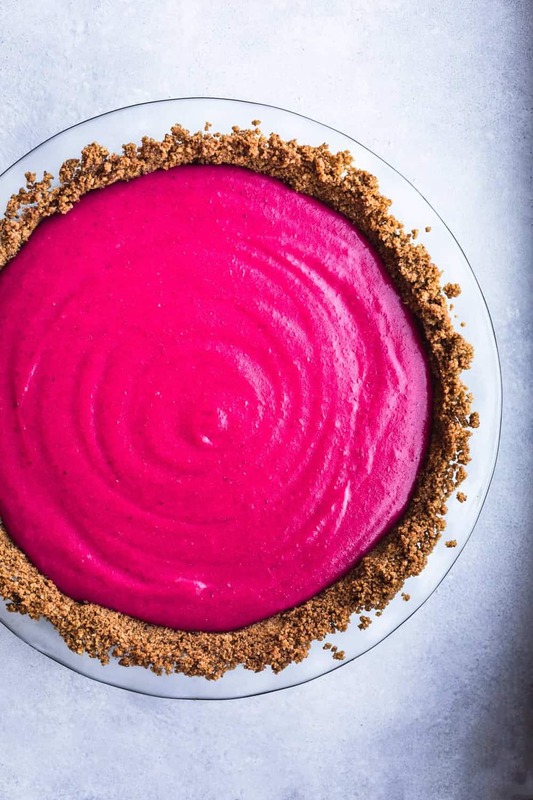 If my beet hummus is me in hummus form, then this tart must be me in pie form. If that’s confusing to anyone…well then just look at all my pictures. Hint: look at the colors…!!! 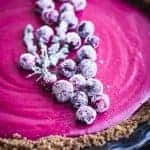 I know for a fact this cranberry pie is a showstopper cause while I was carrying it from my place to my friends dinner party the last Sun, every single person I passed on the way asked me about. And ogled it. And wowed it. Every. Single. One. I felt like a pie rock star! 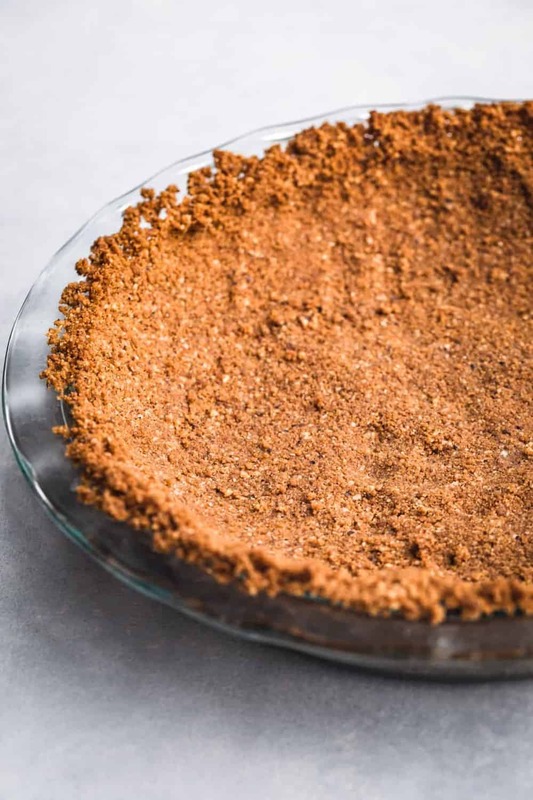 Using equal parts gingersnaps and walnuts makes a crumb crust with a glorious spicy and nutty depth of flavor. 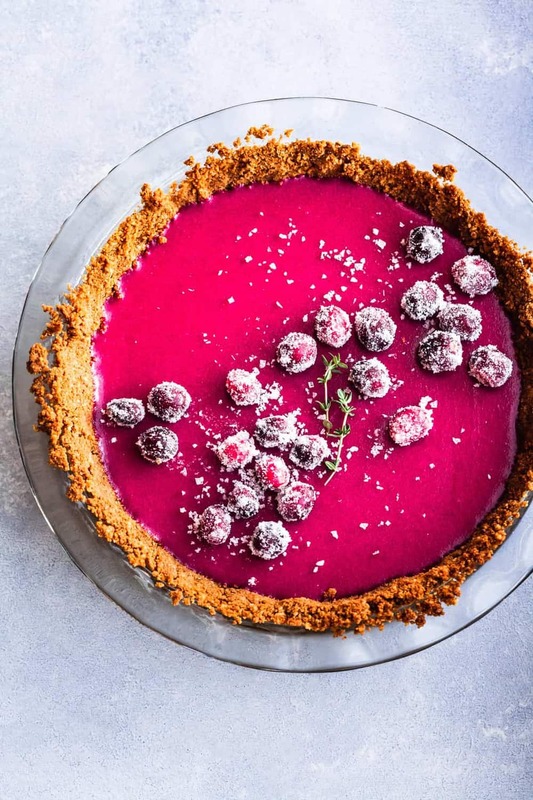 Pureeing fresh and tart cranberries creates a curd that’s bursting with bright flavor. The curdcomes together easily on the stovetop, avoiding the hassle of a double boiler. Whisking room temperature butter into the curd makes it extra glossy. 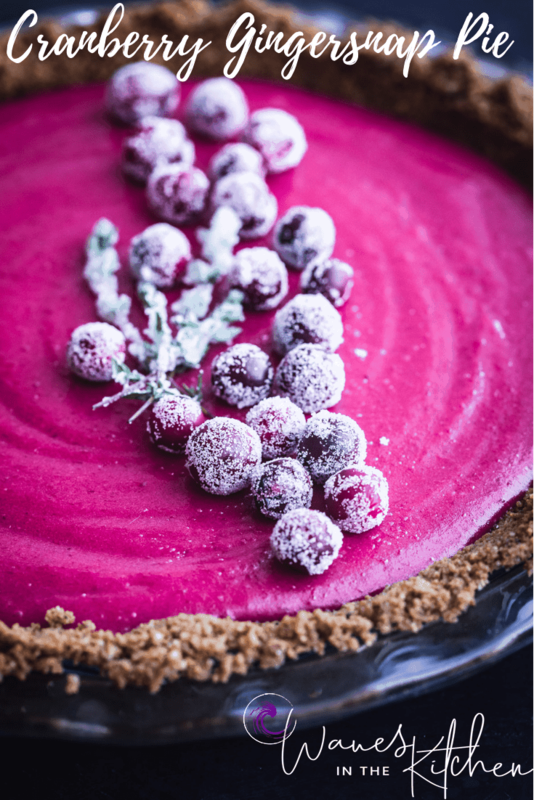 Garnishing with sugared cranberries adds another layer of Holiday flair to this already festive pie. 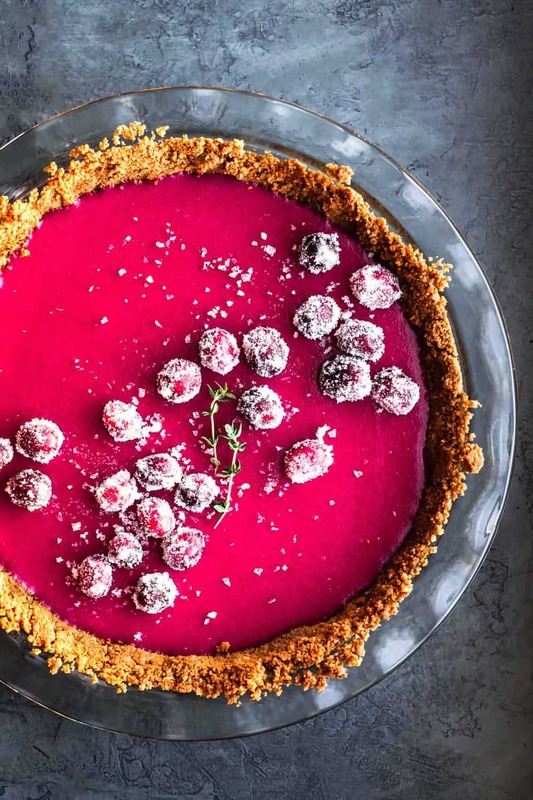 This easy, impressive, and uniquely colored pie is bursting with bright flavor! The crumb crust quickly and easily comes together by placing all ingredients in food processor and is blind baked in the stove. Fresh cranberries are cooked on the stove with a little sugar and water then pureed. The puree is mixed with eggs, egg yolks, lemon juice, and sugar and cooked on the stove, then pushed through a mesh strainer. Room temperature butter is whisked into the curd and it’s all poured into the crumb crust. The secret to perfect curd without all the fuss is medium heat, constant stirring, and a final straining to remove any lumps. This recipe is from The View from the Great Island and has been doubled for an even bigger Cranberry Gingersnap Pie. 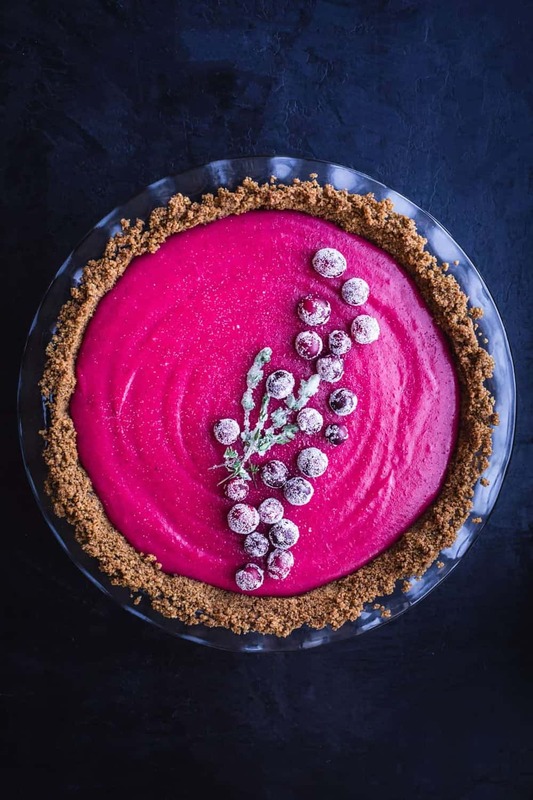 Spicy Gingersnap crumb crust filled with a sweet and tart and magnificently colorful cranberry curd that will surely steel the show at everyone’s holiday table! Place the gingersnap cookies in the bowl of a food processor and process until they are finely ground. You should have about 2 cups. Add the walnuts and sugar; pulse to combine. Add the butter and pulse briefly again until everything is mixed together. Pat the crust into a deep 9-inch pie plate, and up the sides. Bake for 10-15 minutes, until firm and slightly darkened. Set aside to cool. Note: Crust can be baked 1 day ahead. Store tightly wrapped at room temperature. Put the cranberries, 2 cups of the sugar, and ½ cup water to a simmer in a large saucepan over medium heat. Lower the heat and simmer the cranberries, uncovered, for about 15 minutes until they’ve burst, most of the liquid evaporates and the mixture is quite thick. Let cool slightly and then puree in a blender until completely smooth. Whisk the puree, the eggs, yolks, salt, lemon juice and 1 cup sugar together in a saucepan and set over medium heat. Cook, stirring constantly, until the mixture thickens and coats the back of a spoon, this will take about 10 minutes or so. Stay by the pan the whole time and stir! Drop the room temperature butter in, bit by bit, into the strained curd, while you stir to melt it. Pour the curd into the piecrust and smooth out evenly. Chill the pie until it is firm, about 2 hours or so. Decorate with sugared cranberries and thyme if you like. Whisk the puree, the eggs, yolks, salt, lemon juice and 1 cup sugar together in a heatproof bowl set over a saucepan of simmering water (bowl should not touch the water, we are creating a double broiler here). Cook, stirring constantly, and scraping down the sides of the bowl often, until the curds thickens as spatula, about 10 minutes. Let cool slightly. Push the curd through a mesh strainer, using the back of a spoon to get it all through. The mst DIVINE desert ever? You are too cute!!! I will make this for you anytime!!!!! ?❤️? 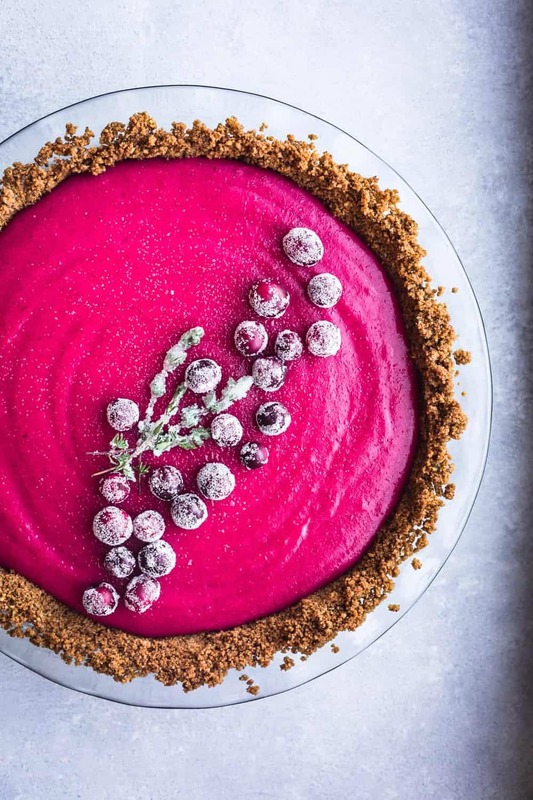 I came here from Best Foodie Recipes Tribe to tell you this is gorgeous!! 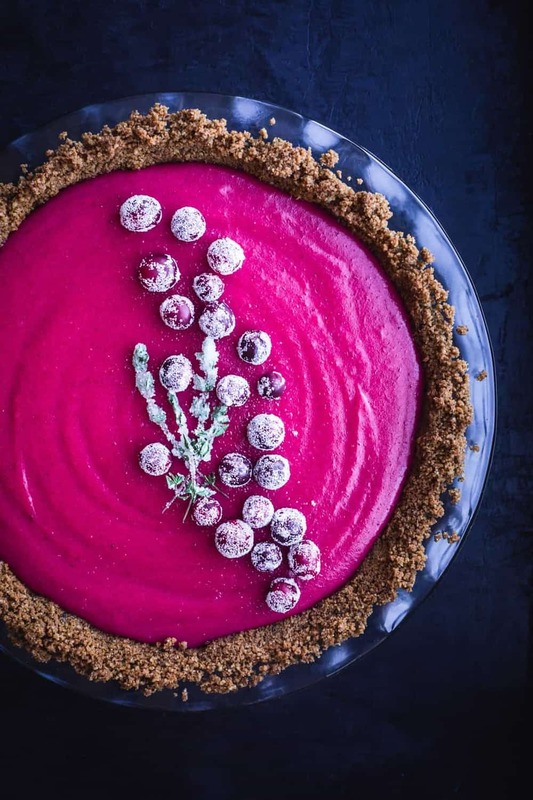 Those cranberries look absolutely beautiful and the crust looks perfect. Do you think coconut sugar would be ok in this recipe? I want to sub it in for the regular sugar but I’m having cold feet. Yes I do! Don’t have cold feet ~ it will work out :). And def let me know how it goes! Stoked you’re making it! ?? So good. Making this again for Thanksgiving. Last time I baked the crust in aluminum pie tins, and they bubbled up a bit. Is that normal? I had to press the crusts down twice during baking. I’m thinking of putting them in the freezer for 10-15 minutes before baking this time. Thank ya and I’m so super stoked ya made this!!! Yes def try chilling or freezing the crush for 10-15min before… I didn’t bake mine in aluminum tins and they didn’t bubble but chilling the crust before should do the trick :). Let me know how that goes and if ya have any more questions! ?? This is the best way to make the crust for a pie and your step by step explanation makes it doable. I can’t wait to make this! So super stoked to hear that!!! Thank you Alex! ?